Our showcase concert at The Sands Centre, Carlisle sees the culmination of this exciting collaboration. 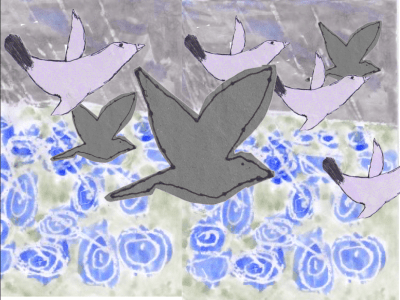 One Small Bird has brought together children from 16 primary schools in North Cumbria who will join with Cumbria Youth Orchestra, Manchester Camerata and BlueJam Youth Jazz for a spectacular performance on 10 July 2017. In 2015-16 Haringay Music Service commissioned London composer Kate Stillitz and our own Jilly Jarman (BlueJam Arts) for a World Premier performance at the Royal Albert Hall. 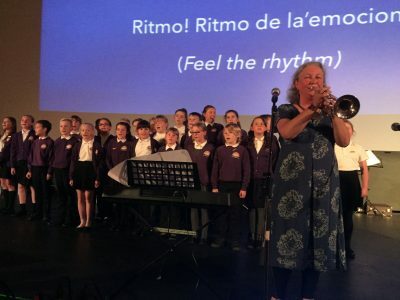 Individual songs from the cycle were enthusiastically performed at “Big Sing at the Big Screen” events run by BlueJam Arts at Rheged IMAX Theatre in Autumn 2016. 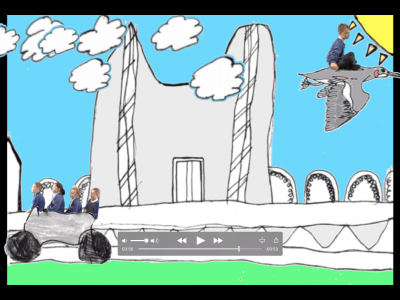 Participating schools contributed their own animated films, songs, poems and artwork on the themes of flight and journeys. 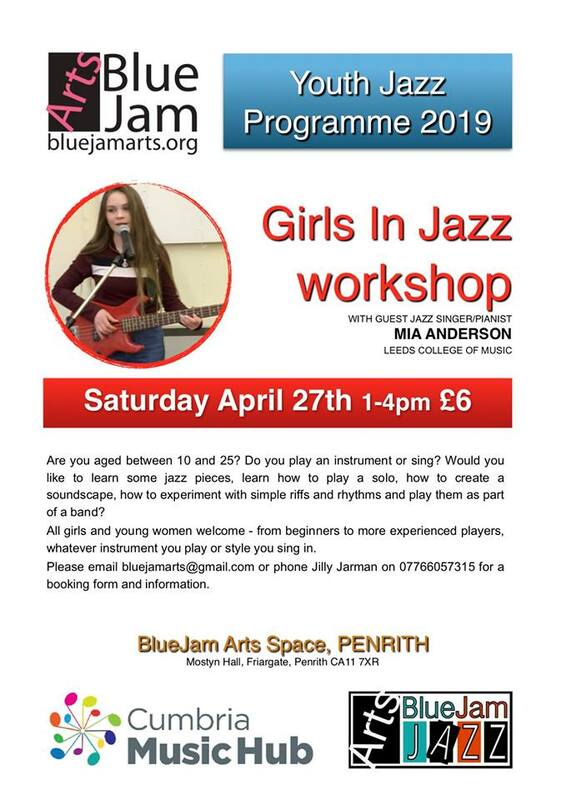 Now, with thanks to Arts Council England Lottery funding, we are able to bring this exciting collaboration to the stage at The Sands Carlisle. This song cycle was inspired by the RSPB’s 2014 discovery of the migratory route of one of Britain’s rarest birds, the red-necked phalarope. Facing huge obstacles, this tiny creature which weighs no more than a packet of crisps, successfully crosses the Atlantic between Shetland and Peru every year. It passes through environments as diverse and challenging as the icy regions of the north and the storms of the Caribbean. 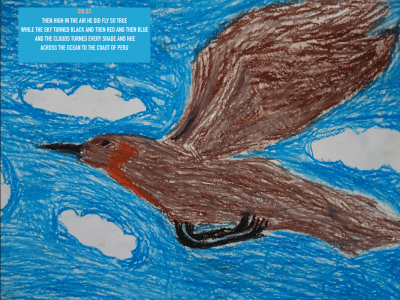 This little bird’s journey tells an inspiring story about strength and resilience in the face of harsh conditions, and of the unstoppable drive for survival among earth’s creatures.